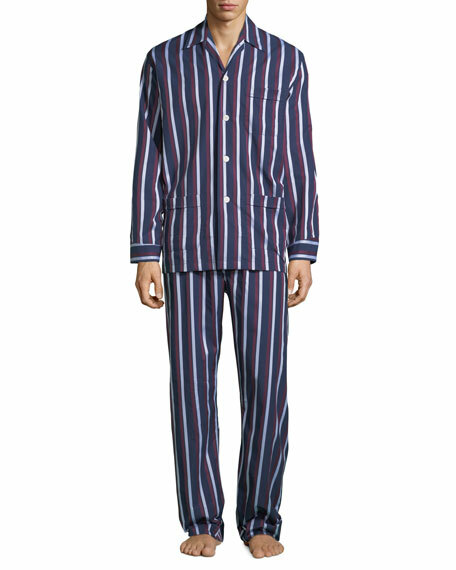 Shadow-striped men's pajamas from Derek Rose. Adjustable two-button waist on pants. Side elastic for more comfortable fit. Traditional deep hems for weight and hang of pants. 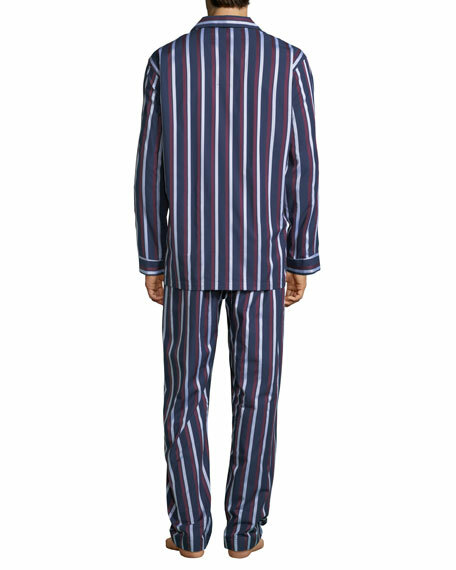 Packaging: 15.35" x 9.84" x 1.5"
Derek Rose has set the standard in luxury loungewear, underwear, and nightwear for men. Using only the finest silks and cottons, Derek Rose creates masculine refinement. With all patterns and textiles designed in-house, the Rose family has been designing and manufacturing luxury loungewear since 1926, maintaining heritage philosophy and passion for quality and style.